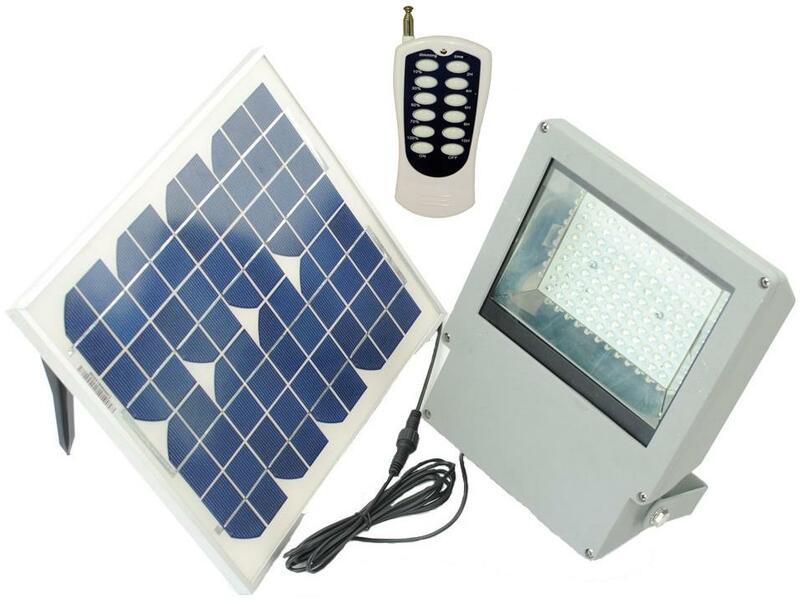 This fantastic 2 piece outdoor super bright solar flood light with remote control is great for both residential, commercial lighting or high demand flood light requirements, such as illuminating signs, gardens, parks, parking areas, docks, warehouses, garages, walkways, driveways and farm areas. This Solar Flood Light with Remote Control -108 SMD/LED is ideal for lighting an area approximately 30' x 30'. Estimated light output is approximately 150 watts. The Lumen measurement is 756lm (7~7lm/pc). This light turns on Automatically at night and off at dawn. 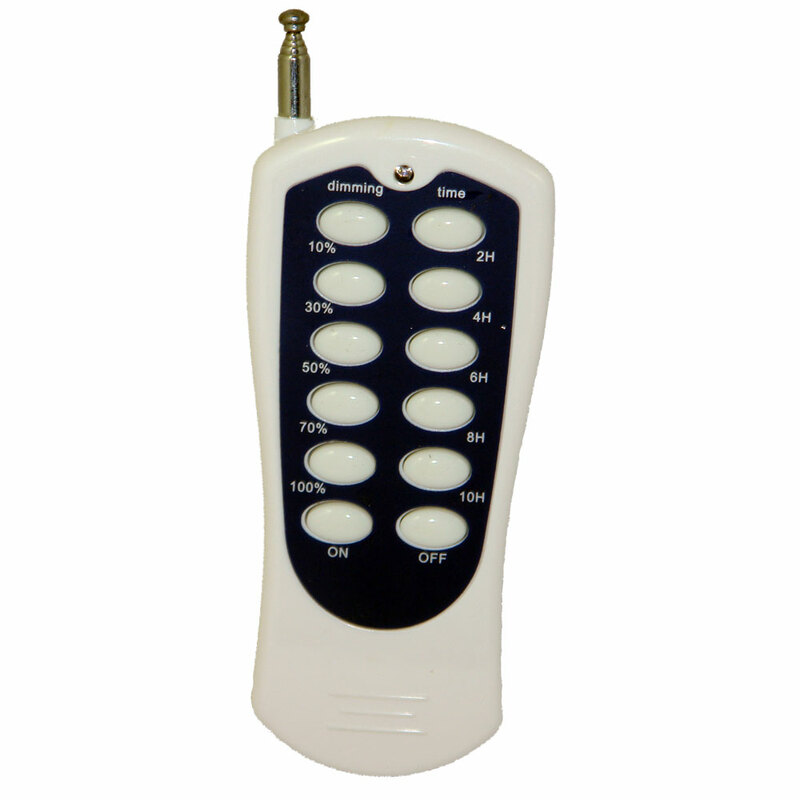 For added convenience the sleek remote control provides On/Off, dimming and timer features and allows remote operation of the flood light up to 60 feet away. Depending on environmental issues (geographic location in US and weather temperatures) estimated night time hours of operation is 10-12 hours on a fully charged battery. Manufactory Warranty: LED Lights 3 years - Solar Panel 1 year - Battery, case, connectors and wires - 90 days. Lamp Measures: 7" x 6" x 5.5"
Solar Panel Measures: 13.5"x 11.5" x 1"
Light Duration: 10-12 hours on a fully charged battery.